Speedy’s product experts can offer technical support and advisory services on our full range of specialist equipment. We are always on hand to provide advice and technical support where and when you need it. 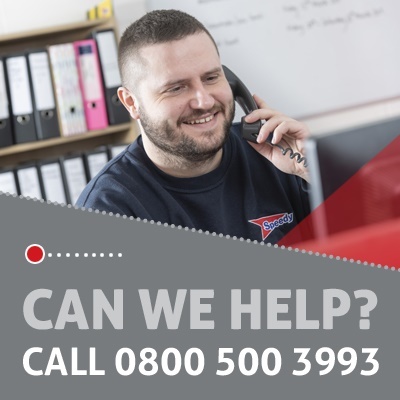 With our national technical support teams and in-depot product experts, you can be assured you will receive the support and advise you need to ensure you choose the right solution. Lifting Design, Fabrication and Installation Services - whatever your lifting challenge, you can rely on Speedy’s experts to provide the perfect solution for every situation. Our years of experience in the field of lifting and materials-handling means our design, fabrication and installation team have the skills and knowledge to undertake any lifting solutions project. Compressors and Generator Technical Services - Speedy’s team of in-house technical specialists can deliver a full product solution, ranging from compressed air packages, through to HV power packages. Survey technical support – our national technical support team are there to help you on site or over the phone, our services include survey instrument installation, live demonstrations, software application support and bespoke training.